Was $779.99 Shop now and save! Temperature-management technology removes heat and moisture from the mattress surface. Product Description Undisturbed Slumber. Get enveloped in lush comfort with the White River Plush Pillowtop Full mattress. Featuring DualCool Technology that includes soft, supple fiber enhanced with silver, this mattress prevents the growth of stain- and odor-causing bacteria, mold and mildew. An advanced AirCool Gel Memory Foam center provides an additional layer of support that offers great pressure relief, freedom of movement and an ideal sleeping temperature. Soft gel foam offers a soothing layer of comfort by contouring to each individual, while hundreds of individually wrapped coils independently adjust to the weight and contour of each person, ensuring undisturbed sleep. 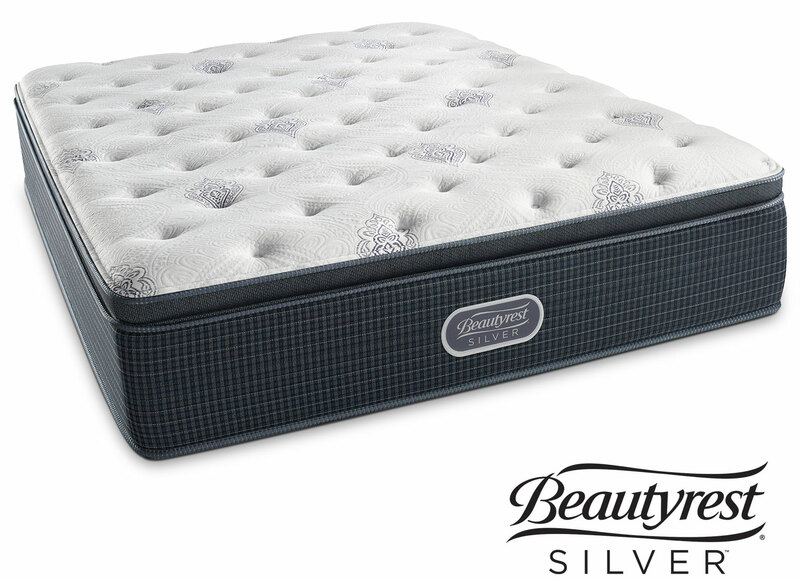 Unique Features: Fibers enhanced with silver are designed to move both heat and moisture away from the surface of the mattress.